Nonsequitur was invited to curate the first half of May 2011 at The Stone, the East Village avant music venue founded by John Zorn. We have scheduled two weeks of concerts featuring a wide range of artist friends from around the country, including many with strong Seattle connections. 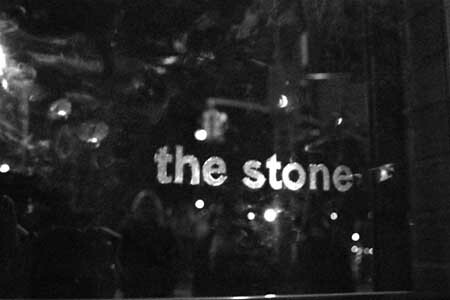 Very few of them live in NYC or have an established audience there, and almost none have ever played at The Stone before. So if you plan to be in New York May 1 – 15, please go and support them! There are two different shows each night, starting at 8 and 10 PM. Admission is generally $10 per set, although there are some exceptions. Full details here.